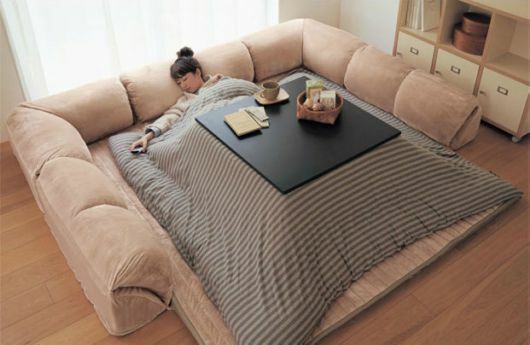 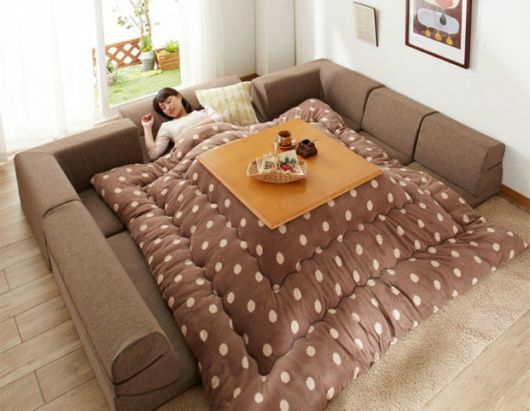 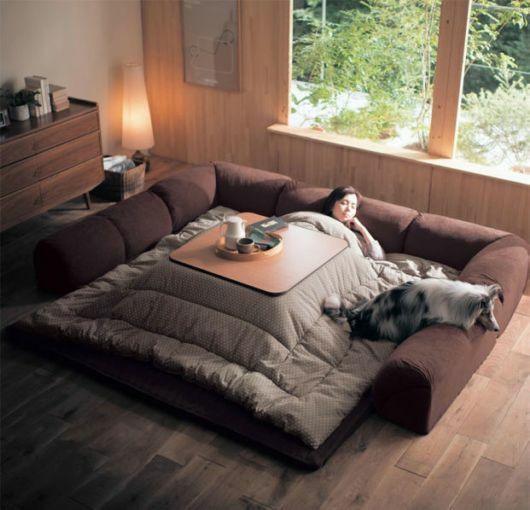 How the Japanese stay warm in the winter looks so comfy you’ll want to copy, and probably never leave your bed again!. 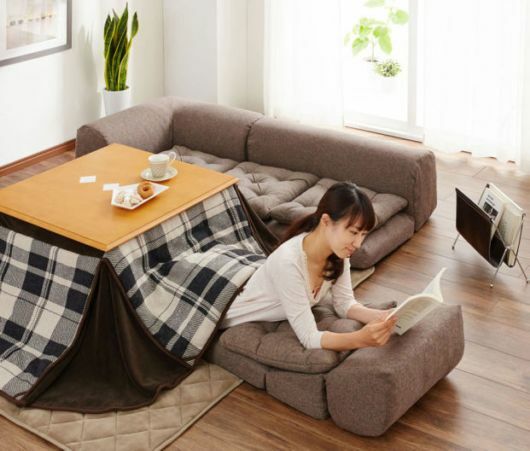 Named the kotatsu, it consists of a blanket that’s placed between a low table-frame and a table-top with a heat source placed underneath the blanket. 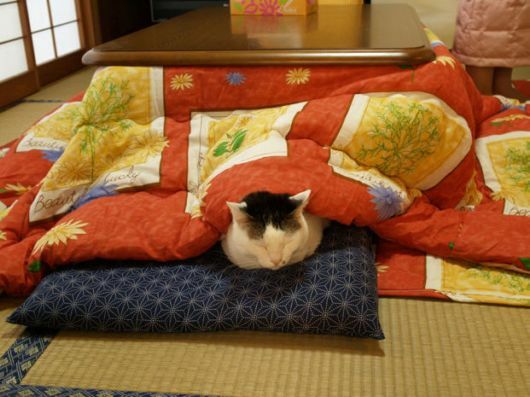 Wearing traditional Japanese clothing adds to the effect, allowing warm air to circulate from underneath the blanket, through the clothing and up to the neck of the the person wearing the robes, essentially cocooning them in a ball of heat and warmth. 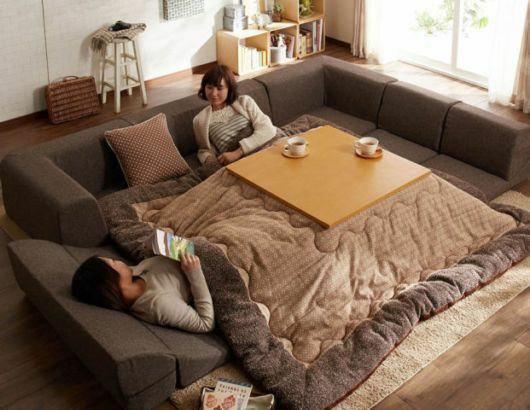 Many Japanese homes have poor insulation which is what makes the Kotatu so popular during the colder months. 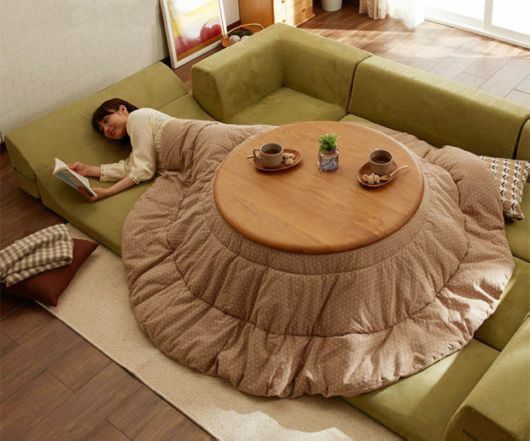 We don’t know about you, but we seriously need one of these in our lives right now.